The Tomb Raider franchise is rolling hot right now, with a new film featuring Alicia Vikander making its debut in theaters next month, as well as a new arcade game making the rounds in Dave and Buster’s. So, of course, it appears that Ms. Croft is making a push on the retail market as well – but not quite in the way that you’d expect. 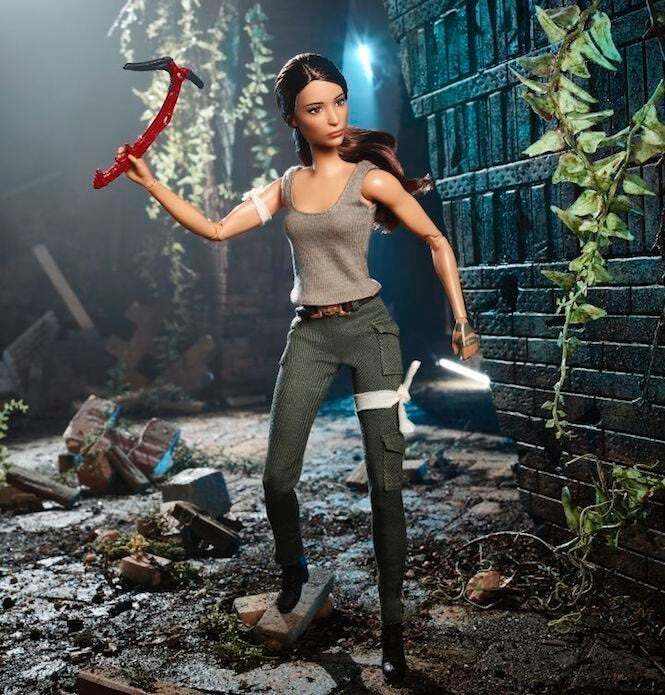 Earlier today, IGN revealed that Mattel is working on a new doll based on the Tomb Raider line, based on its popular Barbie series. 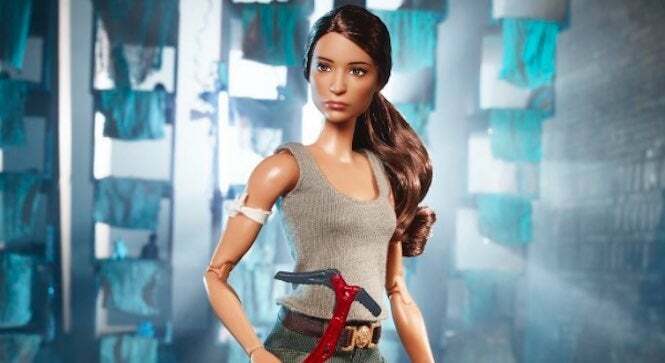 That’s right, Lara Croft is getting the Barbie treatment. And collectors for that sort of thing will be excited to know that they’ll be able to place pre-orders for it over on the official Barbie page starting tomorrow, going for $29.99. The doll is set to be revealed during the Mattel Collector event during the New York Toy Fair a little later today, in which she’ll be revealed with the traditional Lara Croft adventurer outfit, complete with a bandage wrapped around her leg, as well as her arm. Along with the outfit, the Tomb Raider package will also include a map, an axe, a journal, a doll stand and a Certificate of Authenticity. No word yet if it’ll be available in limited quantities, but considering how hot the franchise is right now, we don’t see why it would be. We’re not sure how some die-hard fans will feel about Lara Croft getting the Barbie treatment, but there are sure to be a few that won’t mind picking it up and adding it to their collective Tomb Raider shrines. And it’ll give them something to admire while they wait for the next game in the franchise to be announced, which will hopefully be sometime this summer. For the time being, those that want to get their fix of Lara Croft by other means can check out the other games, including Rise of the Tomb Raider, which you can get for pretty cheap on Xbox One, PlayStation 4 and PC these days. Meanwhile, the Tomb Raider film, which features Vikander, Daniel Wu and Walter Goggins, arrives in theaters on March 16.